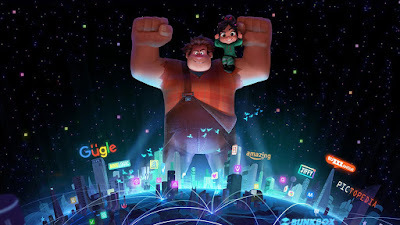 The crux of Disney’s 2012 smash hit CG comedy adventure, Wreck-It Ralph, is a deep and loving friendship between its titular big lug and his pint-sized protegee, Vanellope Von Schweetz. This unlikely, but wonderful, friendship becomes the high stakes in Ralph Breaks the Internet – a film which, at its core, is about growing pains in close relationships, and learning to let the ones you love follow their dreams. With so many quirky, lively visual metaphors and blink-and-you-miss-them Easter eggs, it would be easy for a film like this one to lose its heart. But Ralph (John C. Reilly) and Vanellope (Sarah Silverman), inseparable for six years even in-universe, are so tightly bonded that when their insecurities begin to nibble at the fringes of their separate desires and destinies, it affects the entirety of the movie’s world building in a lot of different ways. The characters themselves, navigating a world completely unfamiliar to them and trying to come to terms with their diverging paths, become stand-ins for anyone who has experienced changes in their closest relationships and found ways of finding compromise through the process. Much like its predecessor, Ralph Breaks the Internet is a colorful ride through an unseen world, with fantastic new character designs (one new character – the fabulous Yesss, voiced by Taraji P. Henson – even changes style to match what’s trending minute-to-minute) and snappy references and jokes to match its swiftly-shifting landscapes. There are especially a lot of wonderful cameos and nods to Disney and Pixar during a sequence set “inside” the website Oh My Disney – all of Disney’s princesses make appearances (most of them voiced by their original VAs) and help the hapless heroes when they’re needed most, and with a Marvel section, of course Stan Lee makes a brief cameo appearance as well (the film is lovingly dedicated to him). Favorite characters from the first movie, Fix-It Felix (Jack McBrayer) and his wife, Sergeant Calhoun (Jane Lynch), return as well, but this sequel doesn’t focus on the happenings at the family fun center arcade. 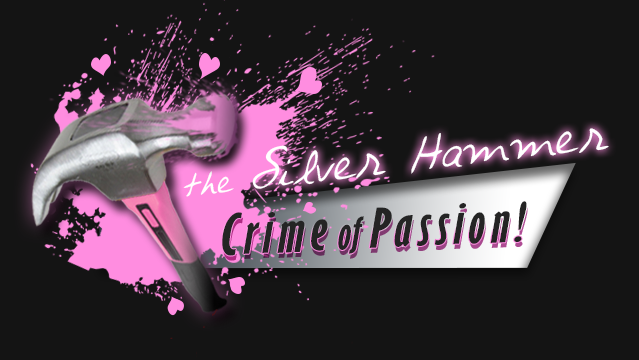 Ralph wisely doesn’t tarry too long being overtly nostalgic, even as Ralph himself wishes to keep life in the arcade exactly as it is; his dearest little daredevil driver finds her fast lane in a fierce racing game called Slaughter Race, discovering a role model and new friend in its anti-heroine, Shank (Gal Gadot). As Ralph fears his relationship with Vanellope spinning out of his control and into dangerous territory, he unwittingly unleashes a virus more dangerous than he envisions – and while the virus infects the whole of the internet, the selfish act poisons their friendship. Yet again, the soul of Ralph Breaks the Internet is the promise these two characters made to care for and protect each other all those years ago, and the film doesn’t stray from this central truth. Through their struggles, as Ralph fears abandonment when Vanellope dreams of more exciting, unpredictable races, it’s emotionally honest about the frightfulness and heartbreak that can come from change. 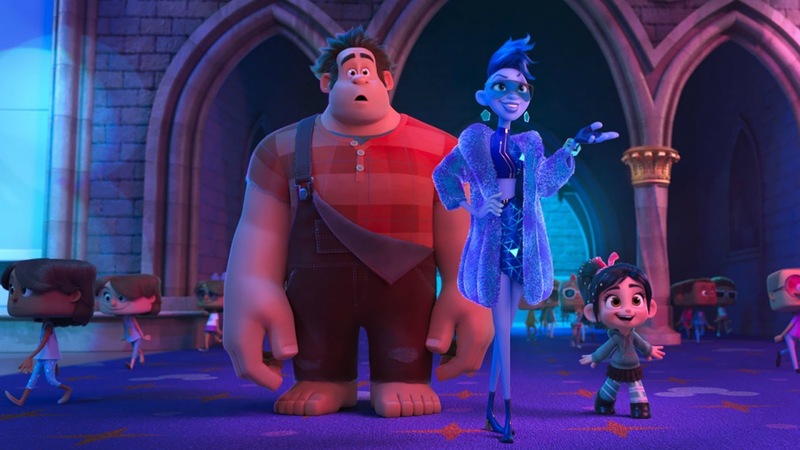 It can be difficult to let go of the way things are, but Ralph Breaks the Internet has a touching, genuine optimism that carries itself through to the end – and the lessons its characters must learn in order to move forward are good ones for all ages. This film is an absolute treat, with surprisingly detailed animation (the utterly filthy, fleshy slug-like creature in the “dark web”, Alfred Molina’s slimy Double Dan, is almost too realistic for comfort), riotous comedy for the whole family, and enough nostalgia food and fun details splashing through its colorful allegorical world to please older audiences as well as little ones. 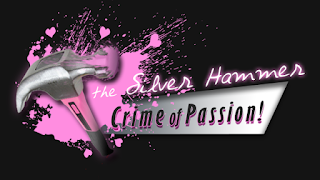 There are action scenes aplenty, mixed in with silly slapstick comedy and, while the anvil of its moral could have been slightly subtler, it is ultimately a perfect choice for a trip to the movies.